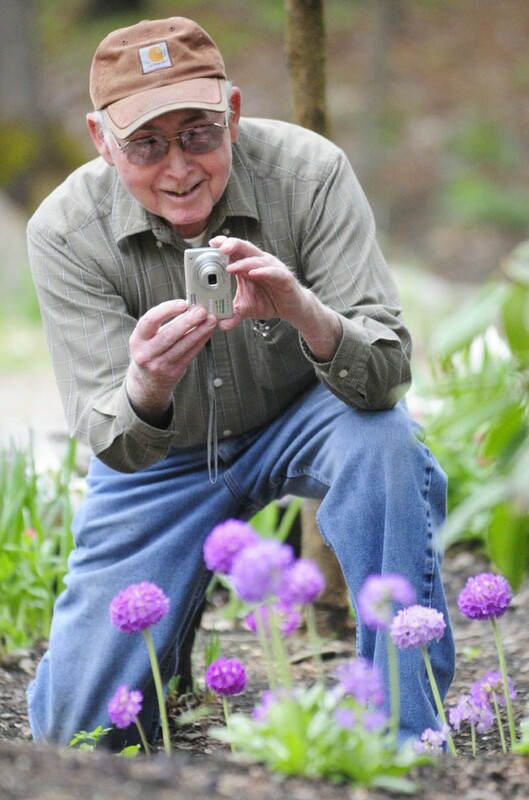 Fred Davis takes a photograph of the primrose blooming in front of Fred's Puzzles and Gifts on Thursday in Palermo. Davis said that he and his wife work in the gardens outside the business on Route 3 near the Palermo - China border. Fred Davis takes a photograph of the primrose blooming in front of Fred’s Puzzles and Gifts on Thursday in Palermo. Davis said that he and his wife work in the gardens outside the business on Route 3 near the Palermo – China border.